Breakfast is the best meal of the day; it gets your engine warmed and humming and gives you strength for the day. You can make breakfast interesting very easily. I love omelets and have one almost every day. That said, you can use any of these ingredients in a tortilla, on a potato, on rice, on toast, pancakes, or biscuits. I love an omelet for breakfast. Until I had breakfast with my Dad in Florida, for his 50th High School Class Reunion, I didn’t really know how to make one easily. There are a few rules. 1) Use water, not milk, in your eggs. Milk will cause the eggs to stick if they won’t ordinarily. 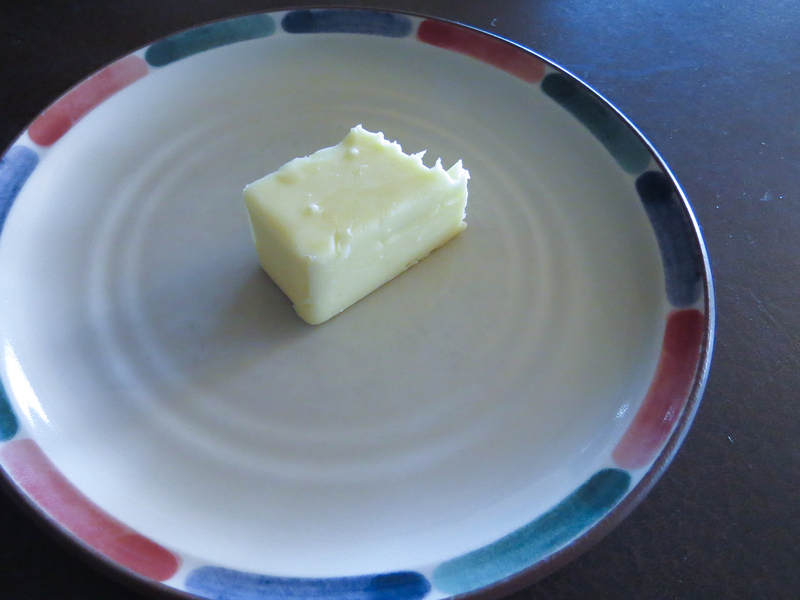 2) Use butter—not fake butter, like Country Crock. Use butter, margarine, and/or oil. 3) Get the butter hot without burning it. Add your “fillers” and cook them. Don’t burn them; cook them slow if you need to. 4) Pour in the egg/water mixture and cook, either shaking the pan to move the egg and distribute it, or using a rubber spatula to push cooked egg to the middle, allowing the uncooked egg to pool around the edges to cook. Asparagus, green beans, squash, tomatoes, whatever you like! First get the butter hot. Then throw in the fillers to cook. Second, when the fillers cook, pour in your beat egg. Shake it around and/or scrape it to the middle of the pan so more of the wet egg solidifies around the outer edges. Once everything done, add the cheese and let it melt. I very often turn off the heat at this point and do something else for a few minutes to give it a chance to melt and cool. 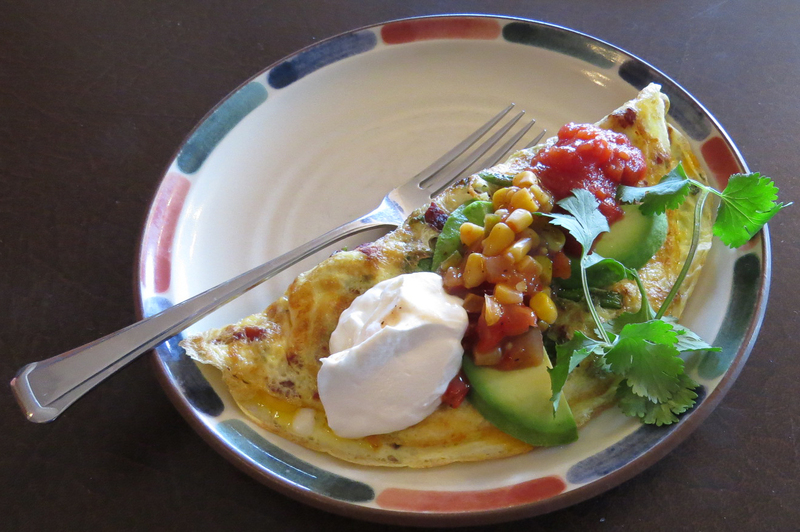 Third, slide the omelet onto the plate while folding it over. Once all is done, you get to add the toppings! For Office Procedures, we were tasked with making a presentation for our class. 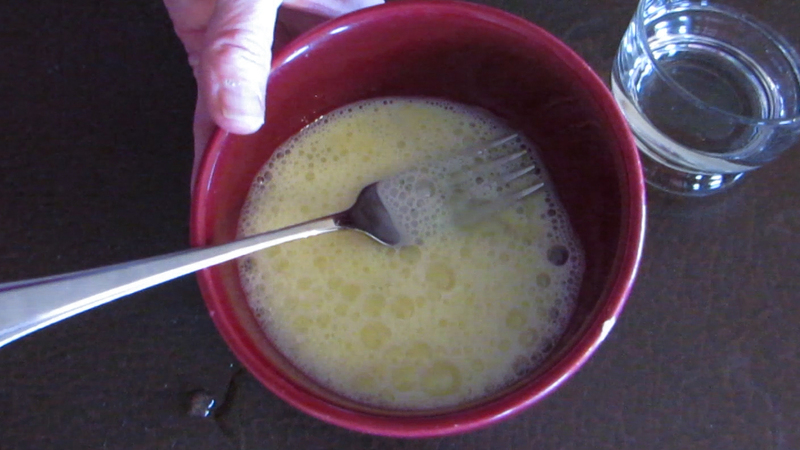 I struggled a bit to decide what to do and came up with a video for making an omelet. My granddaughter visited and she shot the video and I’ve spent the rest of the afternoon trying to put it together. I give up. QuickTime is now on Saving — About 11,000 hours (and I know that’s not right), and I finally uploaded the four videos separately. I don’t have time for this, and for today, the learning curve is too great for so short a time to learn. So, I’ll learn this later and learn it well. Meanwhile, I thought I might do this instead, but I don’t think I can get away with it. Still, Savannah and I had fun doing this. I saw this done well (better than this), and it was so much fun to watch. There was accompanying music that made it a lot more fun. The canyon speed limit is anywhere from 50 to 65. I never go as slow as 50. The road is winding and it’s just fun to drive. It’s not fun if your vehicle doesn’t handle well, or you’re afraid of driving (and many people are), but if you love to drive and your vehicle hugs the road, it’s a great run. It’s the little things I love. To be so close that I’m almost on the other side of you. To entwine your hands in mine. To trace the contour of your face. To massage my feet for no reason. To express want without fear. To hear my name spoken quietly. To hold you and feel your heart on my cheek.